“To be human is to worship.” Those are the opening words of Daniel Block’s excellent new book on worship, For the Glory of God. Men and women are inveterate worshippers. Paul makes this clear in Romans 1. Even those who reject the plain knowledge of God which can be perceived within the created order do not cease worshiping. Rather they simply begin worshipping created things instead of the Creator (Rom 1:18ff). Given that we all worship and that our hearts tend to be deceptive, it is vital that our worship be shaped by what God has made clear in His Word rather than by personal opinions, past experiences, or intuitions. 1. Worship is to be regulated according to Scripture. It matters to God how His people worship Him. Form matters. Just ask Nadab and Abihu. We are never invited to worship God in ways that seem right to us. Scripture never calls us to do what “feels right” in God’s presence. Rather, God’s Word makes quite clear those elements of which our worship should consist. They are the preaching of His Word, music and singing, the reading of Scripture, prayer, tithes and offerings, confession of sin, and the sacraments (baptism and the Lord’s Supper). In a day when many Christians operate as spiritual entrepreneurs, it is important to remember that we do not decide how to come to God (or “connect,” “experience,” “encounter” or whichever word is popular). To quote Block once more: “[The] goal of authentic worship is the glory of God rather than the pleasure of human beings, which means that forms of worship should conform to the will of God rather than to the whims of fallen humanity” (p. 6). 2. Worship is the response to God’s self-revelation. We worship God in response to that which he has revealed about himself. Christianity is a revealed religion. That is we cannot intuit the gospel or those attributes of God not clearly visible in the created order. In this way we are dependent upon the Scriptures to truly know and worship God. This is why God has made the proclamation of his Word central to worship. 3. Worship may be accompanied by affections but not guided by them. I wonder what is meant by statements like, “The worship was great”? I’m not trying to be picky here but we can tell what we believe about a thing from the things we say about it. It seems to me that the way we evaluate worship often has less to do with its adherence to God’s stated will and more to do with the depth of affections (emotions) that we feel. Certainly our worship of God ought to engage the affections. But we must always remember that emotions are tricky things susceptible to manipulation and misguidance. 4. Worship should not be governed by pragmatic concerns. If there is an unofficial religion among evangelicals today it may well be pragmatism. It’s the idea that if it works, then it must be good. If it grows our church, if it attracts young families, if it appeals to millennials, if it produces the right emotions then it is good. But the church’s worship must never be governed by such concerns as church growth, the preferences of unbelievers, attraction to a preferred demographic, or our subjective experience. 5. Worship is for God. While we are generally careful not to say so, there seems to be a tendency to treat worship as something which is for us. Don’t misunderstand. There are great blessings to be had in worshipping God. What is more, God does not require our worship as though he needs something from us (Acts 17:22-25). Rather, God calls us to worship him because of His essential worthiness. God demanded the release of his people from Egypt that they might worship Him (Ex 5:1). The Psalms repeatedly call upon the people of God to worship the Lord because of who he is and what he has done. We worship God because it is always right for the creature to worship the Creator. 6. Worship is not meant to facilitate mystical encounters with God. Based on some of the comments responding to my previous article on worship (Is Your Church Worship More Pagan than Christian? 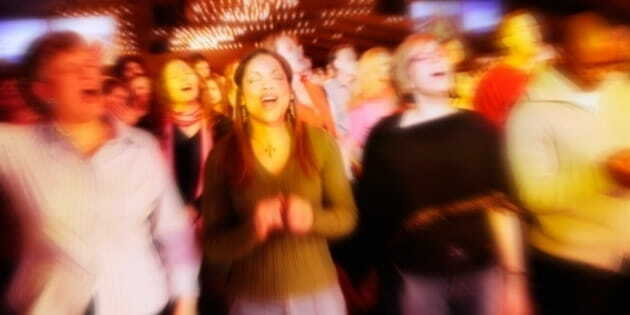 ), it is clear that many Christians believe that music and worship play a mediatorial role in our relationship with God. But worship does not bring us to or otherwise facilitate an encounter with God. Certainly we worship just as we live coram deo (before the face of God). Jesus, by his dying and rising, has brought us to God. For all of the opining on this issue, I have yet to see anything in Scripture that tells us that music brings us to God. Jesus our Great High Priest has brought us near to God and he requires no further assistance. 7. Worship and obedience are inseparable. The Bible does not separate persons from their deeds. Neither does the Bible separate worship from obedience. The primary evidence of what is in the heart is not our words or emotions but our deeds. In his parable of the Vine and Vinedresser (Lk 13:6-9) Jesus teaches that branches that do not produce fruit are tossed into the fire. This principle is established by God in the form of covenant blessings and curses (Lev 26; Deut 28). God’s moral law (the 10 Commandments) may be properly understood as a call to live all of life for the glory of God. Todd Pruitt serves as Lead Pastor of Covenant Presbyterian Church in Harrisonburg, VA and blogs regularly at Ref21 and 1517. Raised a Southern Baptist, he is a graduate of Midwestern Baptist Theological Seminary in Kansas City. He, along with Carl Trueman and Aimee Byrd, hosts the podcast Mortification of Spin. Todd and his wife Karen have three children.